For Valentine’s Day, you could take your partner to one of the several restaurants and bars offering special deals, but there’s another outside-the-box option: a Vienna singing quartet. 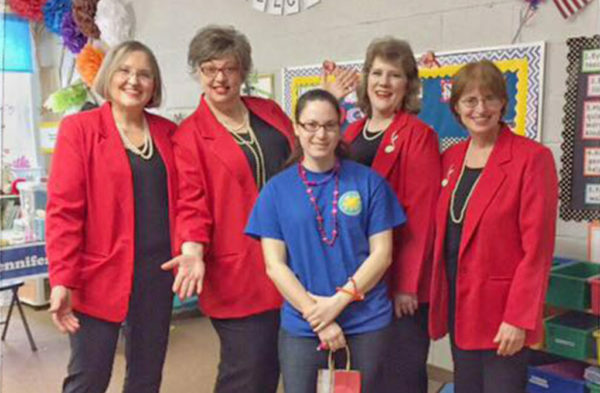 On Thursday (Feb. 14), the Vienna-Falls Chorus will be traveling the Northern Virginia area delivering singing valentines. The in-person deliveries include two songs, a box of chocolates and a personalized card for $50. The quartet can be sent to an office, restaurant, home or any other location. Singing valentines can also be sent by phone for $10. Four songs are available for selection and audio samples are available online. Ask Val: Where To Live in Dunn Loring?